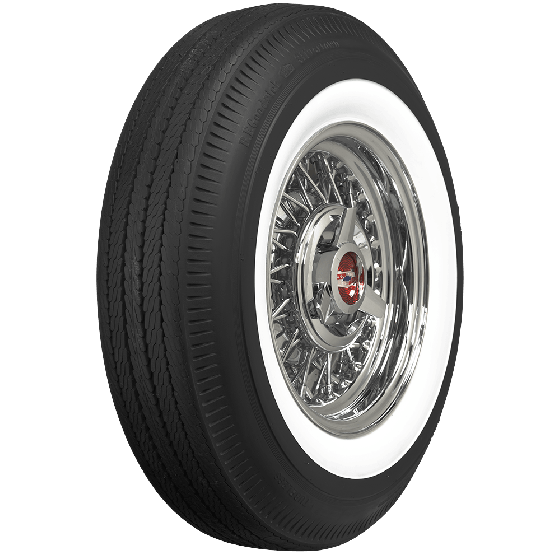 Get the ultimate classic look for your collector car with bias ply BF Goodrich wide whitewall tires from Coker Tire Company. 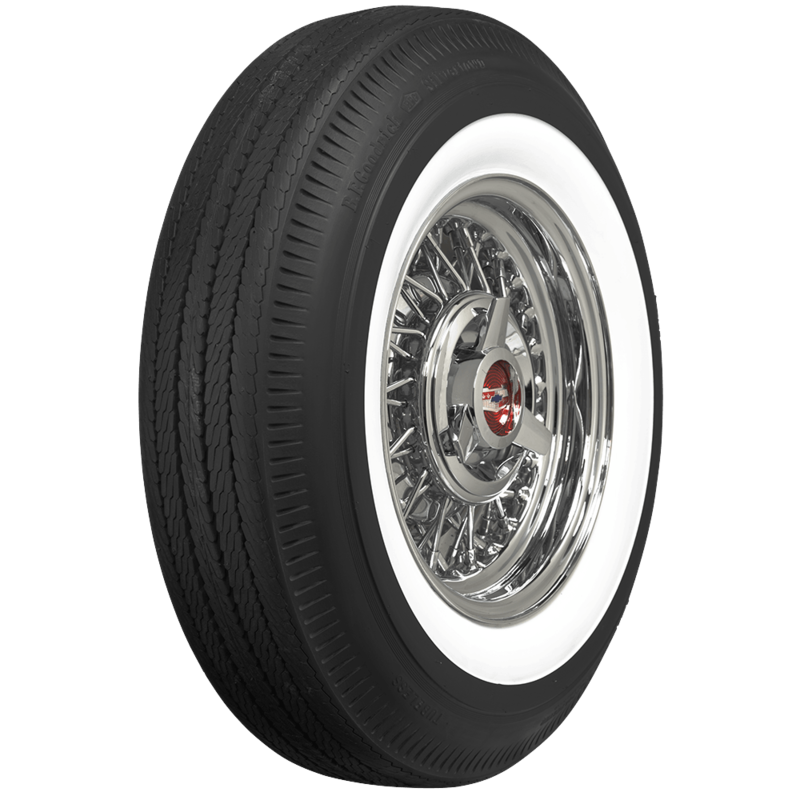 These BF Goodrich classic tires feature a pie crust upper sidewall and beautiful genuine whitewall construction. 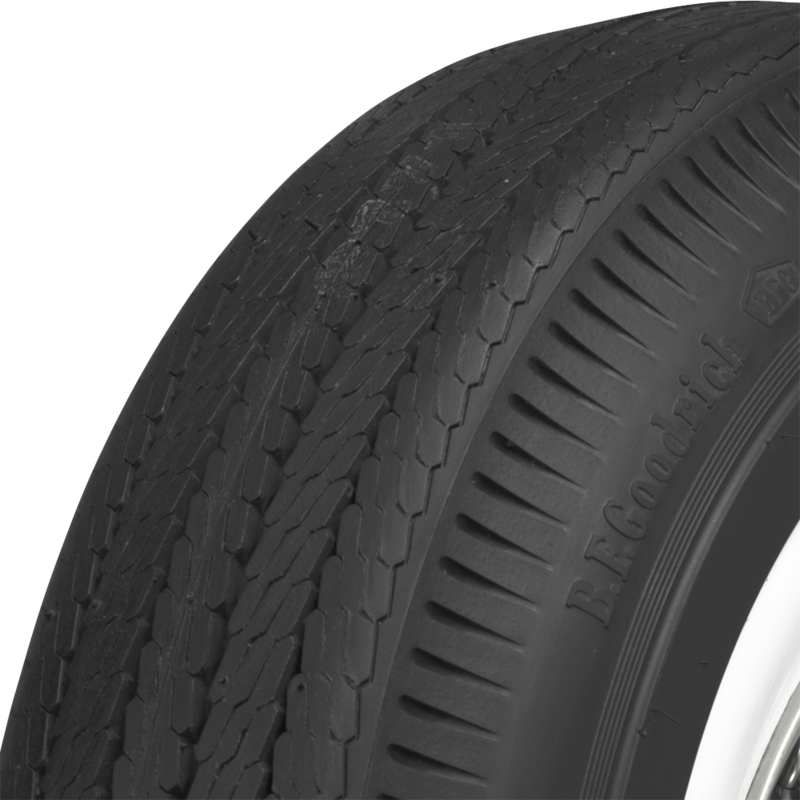 These tires have accurate sidewall markings and authentic tread design. 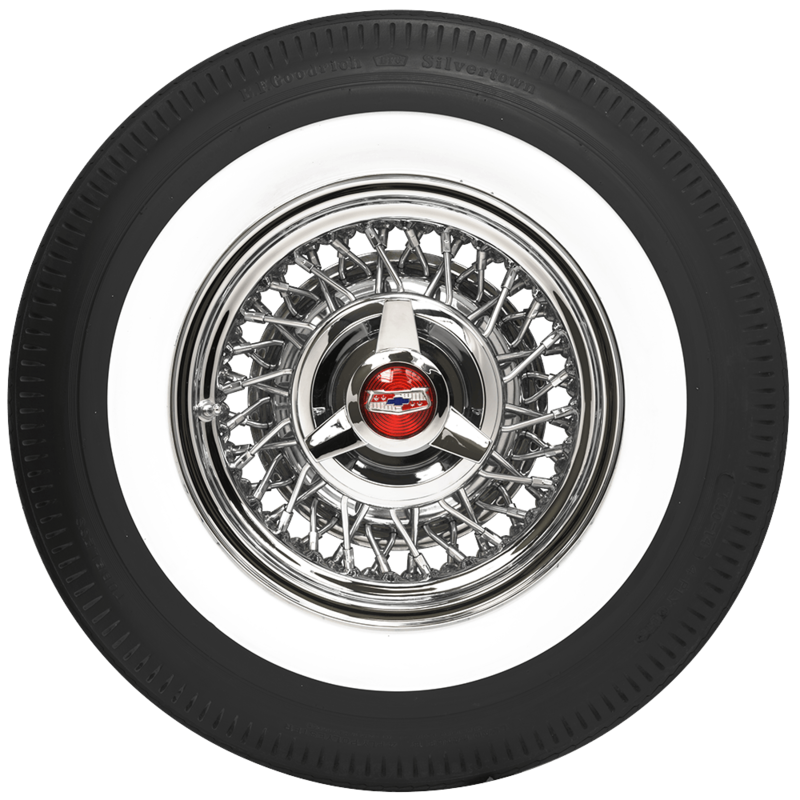 These are an excellent premium fitment for late fifties and early sixties American cars. 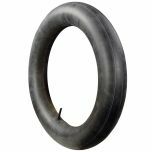 These BF Goodrich bias ply wide whitewall tires are also available in several popular 14- and 15-inch sizes.